Last march, Dressel Divers arranged a contest to celebrate the launch of our new project Go Green. The winner of this contest -chosen by a blind draw – could win a solid quantity of money to donate to their favorite NGO. 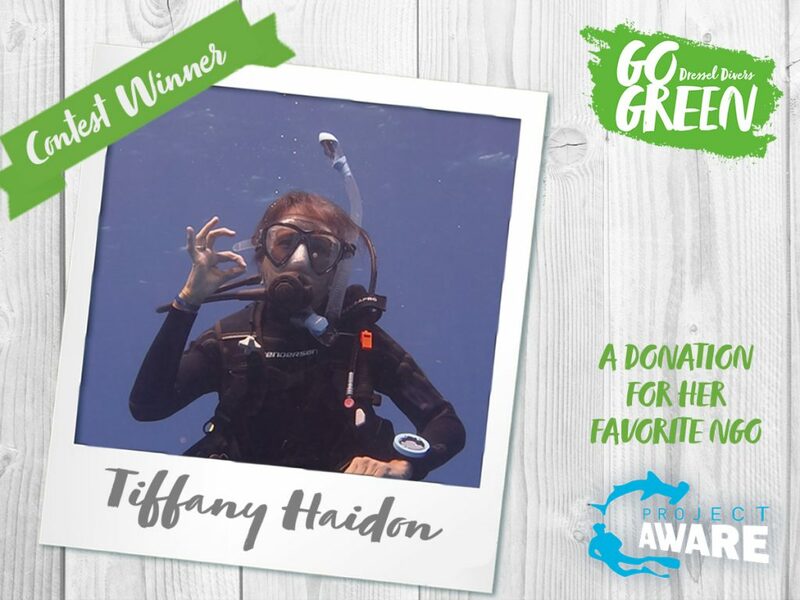 Today, we are really glad to introduce you to Tiffany Haidon, the lucky winner of this contest. “One of the most important aspects of diving and choosing a dive company is their ethics in ocean awareness and conservation. 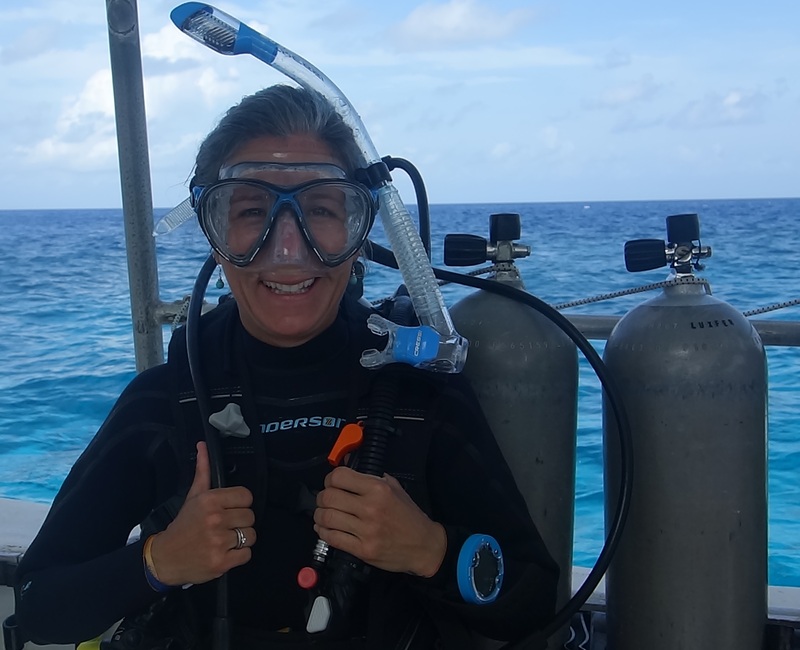 I have only been diving for the past 3 years, but one aspect of the certification process that has remained with me is finding a dive company that is reputable, safe and concerned with the environment and diving’s impact on the ocean. I have found all this with Dressel Divers and I annually return to Cozumel to dive only with Dressel Divers, because I am very impressed with their GO GREEN values and principles! It is obvious when I dive with Dressel Divers, the PADI Dive instructors and Divemasters are knowledgeable and passionate about environmental safety and conservation. I have observed, on numerous occasions, Dreseel Divers’ Divemasters cleaning up the ocean and returning from a dive with pockets full of garbage. Upon briefing of a dive site, I love hearing them expect divers to have no contact with the animals. 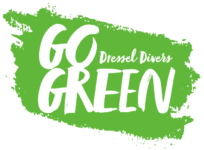 I value Dressel’s Go Green initiative to promote sustainable diving. Thank you, Dressel Divers. I will continue to chose your company, as it is seriously committed to Ocean and Environmental Conservation and protection”. A dive company has to be reputable, safe and concerned with the environment and diving’s impact on the ocean. I have found this with Dressel Divers. In Dressel Divers we are really proud to have guests like Tiffany, with such solid values. What about you? Would you like to join us on our way to reach a more sustainable and ecological diving? Join Go Green!